Yellow Submarine! 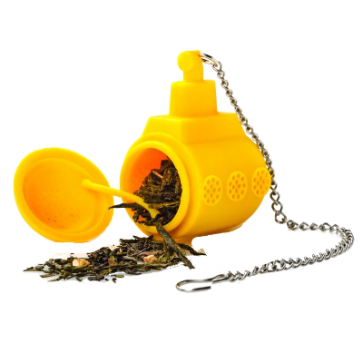 Get your herbs, shrooms or tea in this infuser. Let it submerge in hot liquid and get your periscope out to sail to them psychedelic islands. 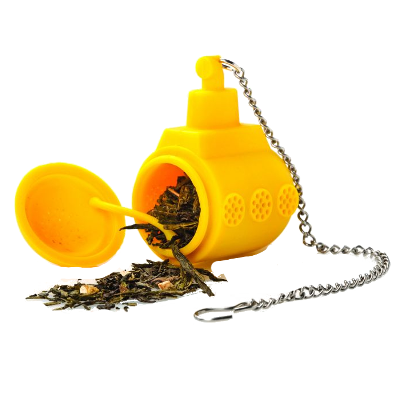 We all live in a Yellow Submarine... tea infuser! Place your herbs, shrooms or tea in this infuser. Let it submerge in hot liquid and get your pericope out to sail to them psychedelic islands.